CNHT holds its Annual Taxpayer Reunion Picnic every year in July on the first Saturday AFTER the Fourth of July. In 2018 the date is Saturday, July 7. Past venues have included the Hopkinton Fairgrounds, American Legion Post 59 in Hillsborough, and American Legion Sweeney Post 2 in Manchester. Location may be subject to change. Past featured speakers have included PJ O’Rourke, Betsy McCaughey, and guests such as Presidential and Congressional Candidates. 2018 will be an election year so many candidates are expected to be present. We often conduct straw polls as well. GET YOUR 2018 TICKETS HERE! 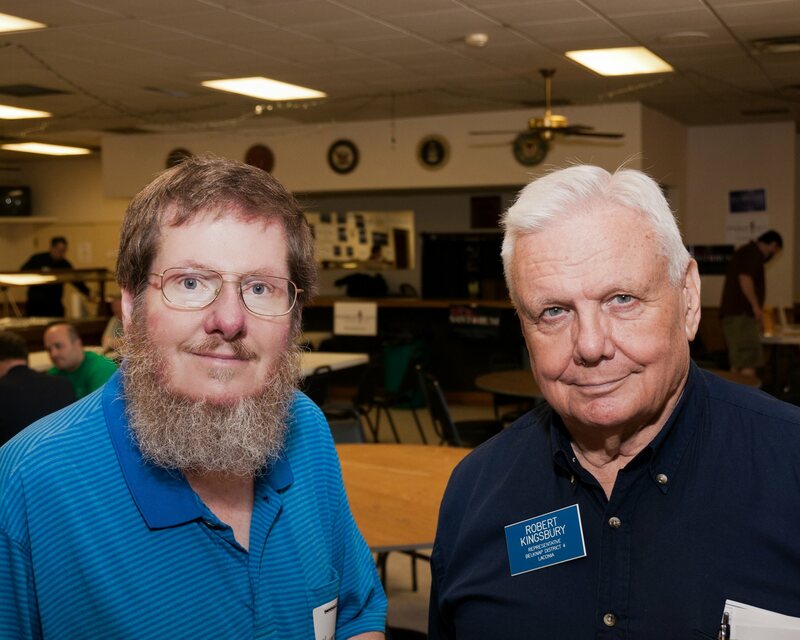 Pictured at left, two of our CNHT HEROES who have left us, Howard Dilworth and former Patton Army Vet Bob Kingsbury.